According to a large experience in the French shipyards, we are entirely operational in naval boiler making, welding and piping. 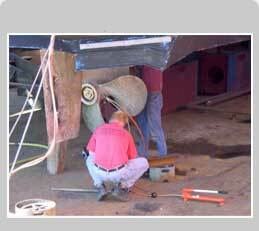 Moreover, we are used to assist ship repair and construction companies to train and improve your personnel’ skills. We provide training’s programs according to your real needs.